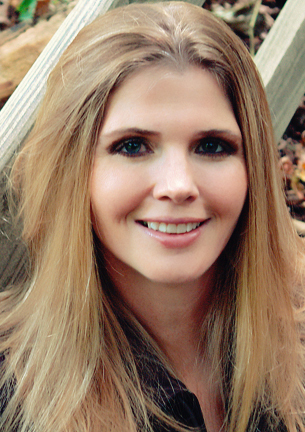 Friends and fellow bloggers, I’m honored to introduce you to Kourtney Heintz, debut author of The Six Train to Wisconsin. Kourtney has agreed to an interview about her past and about her writing life. Before I start the Q&A, I think this is a good time to introduce your book Kourtney. Sometimes saving the person you love can cost you everything. There is one person that ties Oliver Richter to this world: his wife Kai. For Kai, Oliver is the keeper of her secrets. Welcome to my blog Kourtney! Before I get into specific questions, are there any general comments you’d like to share as we kick off this interview? Rich, I’d like to thank you for sharing your blog space with me and for taking the time to interview me. Really appreciate the support you’ve given me and my novel! RW– When I purchased your book, I couldn’t help but notice the following: The Six Train to Wisconsin, was a 2012 Amazon Breakthrough Novel Award Semifinalist. Do you have any thoughts on the reason for your book’s early success? Aw, thank you. I fretted over the book being ready. I sent out my first manuscript too soon and I didn’t want that to happen again. So I took my time with this one. I won several charity auctions to have my first 50-100 pages critiqued by agents, editors, and published authors. I had a few beta readers. I work shopped it. I brought it to writing critique groups. And I listened to the feedback and incorporated it over time. I tried to put my ego aside and make the best book I could make. I also didn’t try to write to trend. I wrote the story that was inside me. The story I was most passionate about. My characters had lots of quirks and flaws. They were people I could spend years with. I tried to focus on universal emotions– jealousy, regret, guilt, uncertainty… to tap into things that everyone could relate to. Even the arguments between the husband and wife. I tried to capture what I’d experienced in arguments–where you are having two separate conversations simultaneously and don’t even realize it at the time. RW- You mentioned to me that you used genre blending and alternating point of view. Please elaborate. I don’t write straight genre fiction because I don’t seem to be able to stay within the lines. I know what the expectations of the genre are, but my stories inevitably pass through several genres. This one started out with the telepathy being the central story point for the couple, which is why it’s speculative fiction. Later, we learn the husband has a secret about his father whom he’s run from since high school. This introduces a mystery element. The relationship between the husband and the wife skirts along women’s fiction and literary fiction with the in-depth emotions and the beautiful turns of phrase. As the book progresses, a thriller element weaves through the last 100 pages. I didn’t plan any of this. The story just went where it went, and I realize this would be a humdinger to categorize. The alternating point of view (POV) was something an agent suggested to me during a revise and resubmit. Originally, I told half the novel from the husband’s POV, a quarter from the wife’s POV, and then alternated chapter by chapter to the end. The agent strongly advised me to alternate POV from the get go, allowing the characters to live and breathe side by side. She thought it would enrich the story. After several months of painful revisions, I completely agree with her. Alternating POV is more common in love stories. And at its heart that is what this novel is to me. It’s not all hearts and rainbows. There are misunderstandings and hurt feelings; there are betrayals and heartbreak. Even so, I think all of that is part of the journey of love. RW- I think it’s fair now for me to refer to you as a successful debut author. What are your writing plans for the future? Right now, I’m in promotional mode. 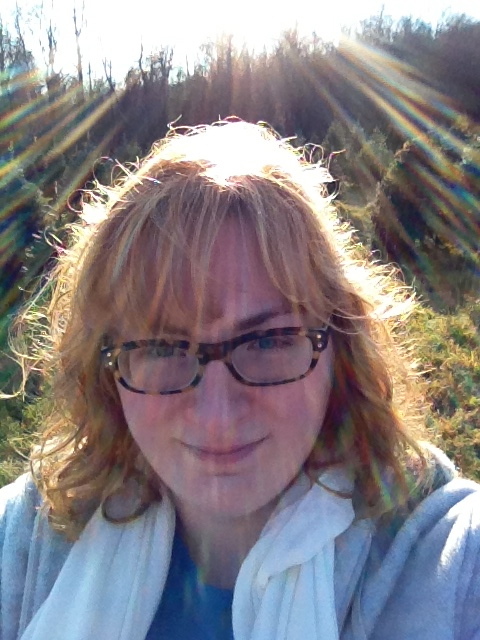 I have book tours, blog tours, and lots of social media work to do. But this summer, I plan to start revisions on my YA novel, Reckonings. I have another YA novel that a beta reader is going over for me. That’s on my to do list too. And this fall/winter, I really want to start on the follow up to Six Train. RW- Who are your favorite authors? Charlaine Harris and Laurell K Hamilton are two authors I really love because they do cross genre so well. I’m a huge fan of Sue Monk Kidd and Alice Sebold–they have such beautiful writing. I also love YA fiction–Jay Asher and John Green move me to tears with their books. RW- Do you have any recommendations or thoughts to share with aspiring writers? You may have to hear hundreds of rejections before you get that one yes. That’s okay. It’s all part of the process to make you a better writer. Listen, absorb, and learn. It truly is a craft not a calling. So practice is essential. Keep writing and keep putting your work out there. It’s the only way you’ll ever get that elusive yes. And if you are getting lots of personalized rejections on full manuscript requests where they compliment your writing, but telling you they don’t know how to sell it, then it may be the time to consider indie publishing. Because maybe your story is ready, but it’s just not a big enough moneymaker for traditional publishing. Kourtney resides in Connecticut with her warrior lapdog, Emerson, her supportive parents and three quirky golden retrievers. Years of working on Wall Street provided the perfect backdrop for her imagination to run amuck at night, imagining a world where out-of-control telepathy and buried secrets collide. RW– Please include any links you have to share. Website: http://kourtneyheintz.com includes purchase links. It has been more than a year since I subscribed to author J.J. Brown’s blogs during the summer of 2011. At the time I knew of her work as a scientist. Many of us hold to stereotypes and think of scientists as Stoics; people involved in objective analysis of data and who are somewhat detached from the lives of ordinary people. I learned from the start those assumptions were unfair, at least with Ms. Brown. 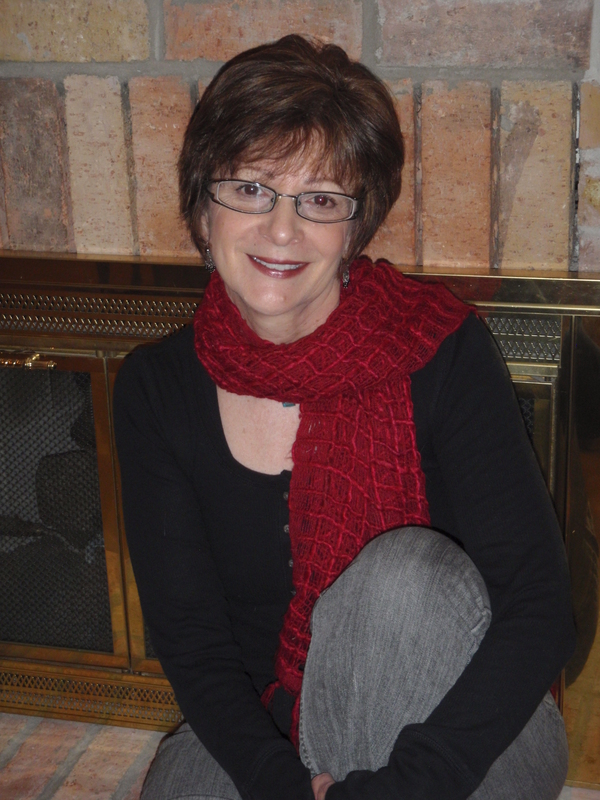 She writes with sensitivity and insight about the world around her. It was her poetry that first garnered my attention but I soon noticed the same qualities in her prose. American Dream gives readers an in depth, well crafted look at life in New York City and landscapes along the Hudson River in New York State. We read of the last days and final moments of a mother dying from stage-four bone cancer. These are touching scenes delivered with warmth and sensitivity. It is in this context we get our first look at the impact on her loving son, Daniel. While reading American Dream, I came to understand and admire Daniel, the protagonist; a gifted artist who struggles with emotional illness. In Pierre, his psychiatrist, readers see a professional who genuinely cares about his patient. In stark contrast, we discover Daniel’s cunning, conspiring sister who will do anything to suppress what is best for her brother. Readers will get to know Daniel’s circle of friends. I felt drawn into these characters lives. At the same time, the antagonist evolves into a pathetic and despised creature. With it’s strong characters and dialog I think it could easily be made into a theatrical play. Ms. Brown shows us landscapes and architecture in exacting, panoramic detail with writing that appeals to all of our senses. American Dream excels as a quality work of literary fiction, worthy of comparison with the classics. If you enjoy well crafted characters and a good story, American Dream is a book for you. Brown, J.J. (2012-07-13). American Dream (Kindle Locations 48-51). J.J.Brown Author. Kindle Edition. 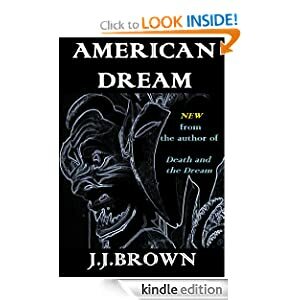 I have included a short bio of Author J.J. Brown below and, included the American Dream book description. In American Dream, a young artist with depression faces eviction from his one-room, city apartment. He unexpectedly finds himself in line to inherit a family castle. The reclusive artist works to escape the long shadow of his dying mother, with the help of his psychotherapist. While illustrating his first animation film and overcoming depression, the artist tries to provide a home for his estranged son. The artist’s older sister schemes to exclude him from the inheritance because of his mental state, and control him as his guardian. His creative spirit defies ownership and redefines success. In this moving portrait of an atypical New York family, author J.J.Brown explores ties between emotional illness and creativity. J.J.Brown, author of “Vector, a Modern Love Story” lives in Brooklyn. Born in the foothills of the Catskill Mountains, the author has lived in New York City for two decades. J.J.Brown is also a scientist with a PhD in genetics, and is published in leading science journals. 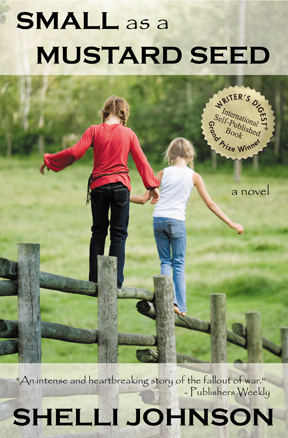 I’m pleased to bring back Sandy Coelho to answer questions about why she wrote, Black Loon Lake. 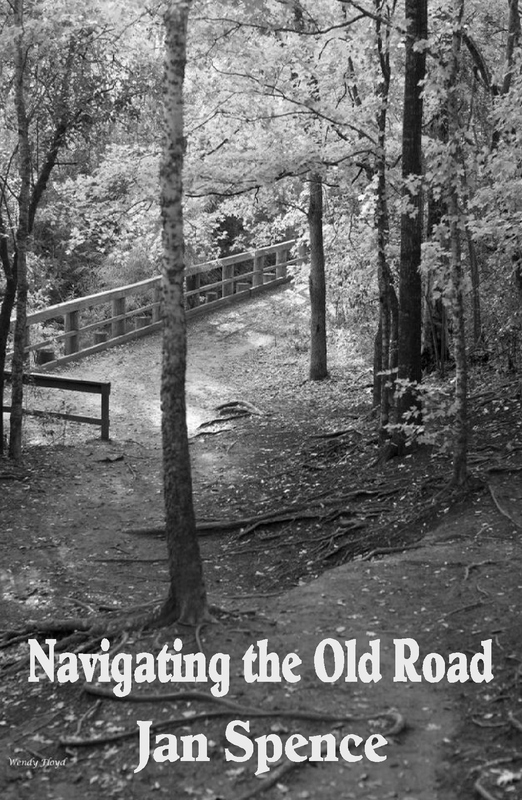 I’m including the book description to help set the context of our conversation. The novelette Black Loon Lake is rooted in the back-country of British Columbia’s wilderness, where it sets the stage for a tension building, suspenseful read. Three tree planters take advantage of a short break between planting seasons, rest and rejuvenation are on the agenda. What actually happens, no one could have predicted. Engrossing, chilling, and creepy; this vivid, fast paced story is written to entertain. Tranquil, timeless and treacherous. Those who venture there, are dying to see it! Welcome back, Sandy. I found Black Loon Lake to be thrilling fiction. 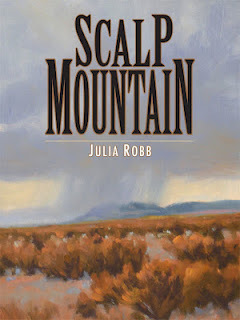 Your description of the landscape and the characters within the story gave me a sense of genuine authenticity. While the story is fiction, I’m convinced much of it is based in reality. I believe you’ve mentioned that you and your, family have camped in the British Columbia wilderness which is the setting for the story. Would you like to share some of those experiences? You’re correct. Before we had our two youngest children, my husband and I spent nearly every weekend from mid-May to mid-September camping at Forestry Reserve sites. Many of these sites are deep in the back country of British Columbia and have zero amenities, but have some of the most spectacular scenery and fishing you can imagine. You must be prepared for every contingency because you are over 2 hours from the nearest town, and there is no cell phone reception. The Conservation officers are strict on rules, what you pack in, you pack out – they take preservation seriously. If you ever have the opportunity to camp like this – it should be tried at least once. It is a serene, beautiful experience. The central characters are tree planters. How did you happen to choose this as background of your characters? Living in B.C. we’ve come to know a few tree planters. I also researched the profession. It is a difficult way to make money, but their stories have kept us entertained for hours. They are an important part of the green movement and reforestation. If it wasn’t for the hard work of a tree planter – future generations may not have wood to build homes, furniture or know the importance the eco-system plays in the health of our planet. We owe them much IMHO. You feature a Conservation Officer in the story. What has your typical experience with these professionals and do you know what their usual roll is? I have friends in this diverse profession, I asked questions and conducted research. In a nutshell, they conserve and protect our natural resources, enforce provincial compliance with environmental laws, and are involved in search and rescue. They have a special investigations unit which deals with criminal behavior which may have an environmental impact. Have you had contact with dangerous creatures in the wilderness? Yes. This province is primarily forest so wildlife encounters are unavoidable. We’ve encountered Bears (Black, Brown) and have seen Grizzlies from a distance; Moose (which can be extremely dangerous), and Cougar not far from our current home. In fact, this morning we had Conservation Officers knock at our door to warn us a large black bear was spotted in our neighbor’s yard earlier in the day. My husband has had a close encounter with a rattlesnake, he just missed stepping on it – he was warned by its rattle. You have to be aware of your surroundings and go out prepared – then you can enjoy the beauty without fear. My purpose with this interview is to draw more readers to your compelling story. Are there other comments you would like to add? Without giving anything away, I think Black Loon Lake is a relevant, fun read. It’s a novelette so not too big a time commitment. If you enjoy a thrill, pick it up, in fact…download it to your e-device and enjoy it while you’re camping! Rich, thank you for taking the time to feature my story. You have said you enjoyed it and I hope others will also find it entertaining. I appreciate being here and your support. I’m deeply grateful.